Since 1982, Pilmer Footwear operates manufacturing jute espadrilles, sewn by hand and in an artisan way. Thanks to the constant effort in our everyday, and the experience of our professional craftsmen, our production of jute espadrilles has adapted to the demands of the market to date, offering the possibility to find our products in major footwear distribution centers of the national territory; whether in department stores, shoe stores or in other spadrille selling establishments where you can find classical models or seasonal novelties. Also, due to heavy demand, our presence in the international market is growing daily. 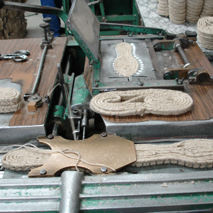 "Footwear artisan manufacturers since 1982"
This is the process of handmade espadrille. We have always been committed to maintaining the process of crafting of the espadrilles intact. 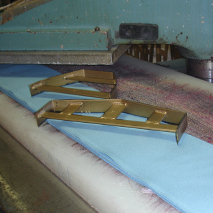 This section explains the entire manufacturing process from start to finish. But first, we want to highlight some of the terms and data related to the espadrille to better familiarize ourselves with this humble product. Origins: "Its origin is Pyrenean and known to exist at least since year 1322, the year that a document written in Catalan espadrilles described as espardenyes". Espadrille: "footwear soled canvas or hemp, which is ensured by simple adjustment or tapes. " Jute: " It's a fibrous herbaceous plant cultivated in tropical regions. The fibers extracted from this plant is also called the Gunny". 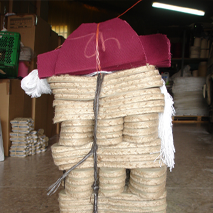 Now we know more about the espadrille and its origins, we explain their traditional manufacturing process. 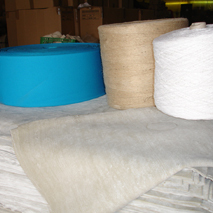 The manufacturing process begins by selecting the main raw materials: jute yarn, rubber, canvas and cotton yarn. 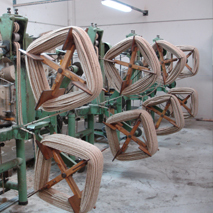 Jute yarn is placed on braiding machines to proceed to elaborate braids. 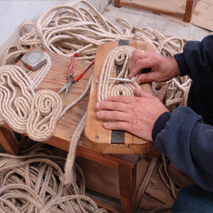 The braid is placed on a special table to make the shape of the sole of the espadrille. Various measures for each number of sole. Once hatched had to sewing machines, ensuring that the sole retains its shape. In the past, this process was done by hand. Our jute soles are made with vulcanized rubber to make them more resistant to wear and moisture. 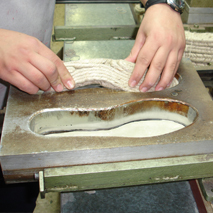 The rubber sole is cut and placed in molds, first rubber and jute sole above. Through the heat and pressure of the mold is vulcanized and we already have the sole of the espadrille finished. The process continues with the cutting of the sailcloth. Usually cuts are made 12 pieces of 200m each. Every espadrille takes a rear and a front that are cut separately. When everything is ready, the packages are prepared. Each package bears five dozen soles of the same number, five dozen sailcloth pieces for that number, and cotton yarn for sewing. 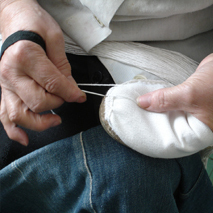 Espadrille stitching is done by hand because, remember, we are talking about an artisan product. Since 2010, Pilmer Footwear is part of the list of distinguished companies under the name "CRAFTS OF LA RIOJA", a badge awarded by the government of La Rioja which accredits and recognizes the origin and nature of craft enterprises and artisan products produced in La Rioja. 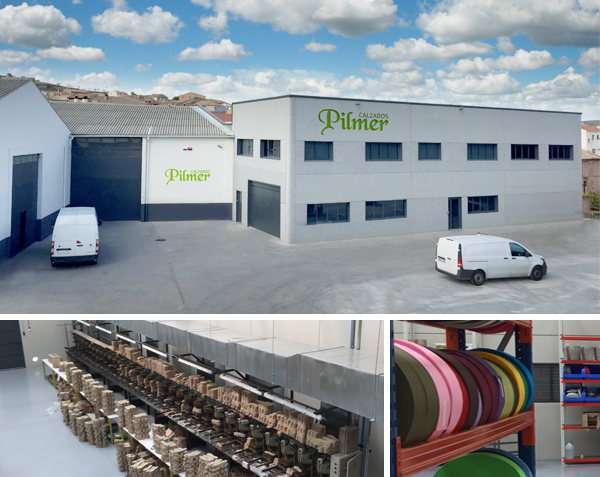 In addition to the qualification of "ARTISAN COMPANY" Pilmer Footwear has two "CRAFTSMEN RATING" certificates granted to Jose Luis Pascual and Pilar Pascual, current owners of the company. The brand "La Rioja, Biosphere Reserve. Leza, Jubera, Cidacos and Alhama valleys" is a hallmark of sustainability and good performance, which supports socially responsible products and services developed within the geographical scope of the Nature Reserve. It is the first brand of corporate social responsibility of a protected area. 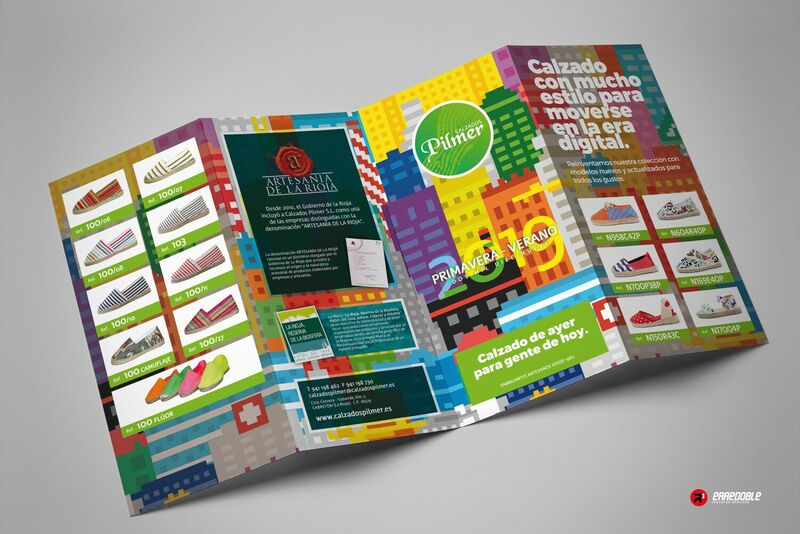 ¿Do you want to see our catalog? We have a great varied collection to suit all tastes.